Architectural surprises are rare and wonderful. I was in Chicago, in Hyde Park, to walk by Fred Keck’s 3-unit cooperative (where he & Lucy lived with brother Bill & Stella and professor Louis Gottschalk), on the way to the Oriental Institute, when I stumbled on Studio Gang’s new dorms for the University of Chicago (called the Campus North Residential Commons). 3D parametric cladding. Beautiful form-making. It strikes me, somehow, as a descendant of the Bauhaus. I didn’t get inside, but the exterior experience was pretty thrilling. As I wrote about here, I not only admire the work of Foster + Partners for Apple but think it’s historic. So when I visited Chicago in September I set aside time to visit the Apple Store on the river at Michigan Avenue, just south of the Tribune Tower. What a site! Was I moved? Well, I was in a hurry, and it’s a store. But surely the best store I’ve visited in some time. Critique1: Is the form of the roof meant to refer to the form of an Apple computer? I think yes, and that diminishes the design quality, to me. Critique2: Yes there are falling-ice problems. This truly surprises me, because it's my impression that Foster's office is full of pragmatic-thinking technically-oriented people. I’d been to Mies van der Rohe’s IIT campus several times (and blogged here and here) but never before had I visited the library. It’s a completely different experience than Mies’ other buildings. The typical Mies building is set on a podium or plaza, but here you descend to the main entry, then you are immediately led up, through the floor, to the main space of the reading room. Note (again) the affinities between Foster & Mies in the supreme authority of the ceiling plane. And the best news (from late 2017): An Engineer Imagines by Peter Rice is reprinted, and affordable. Thanks, Batsford! A virtual experience, but certainly architectural and tremendously powerful—Beyonce’s takeover of the Louvre. I bet I’ve watched it a hundred times. When in Omaha, visit Herbe Sainte and order the Last Word (a Chartreuse-based cocktail). 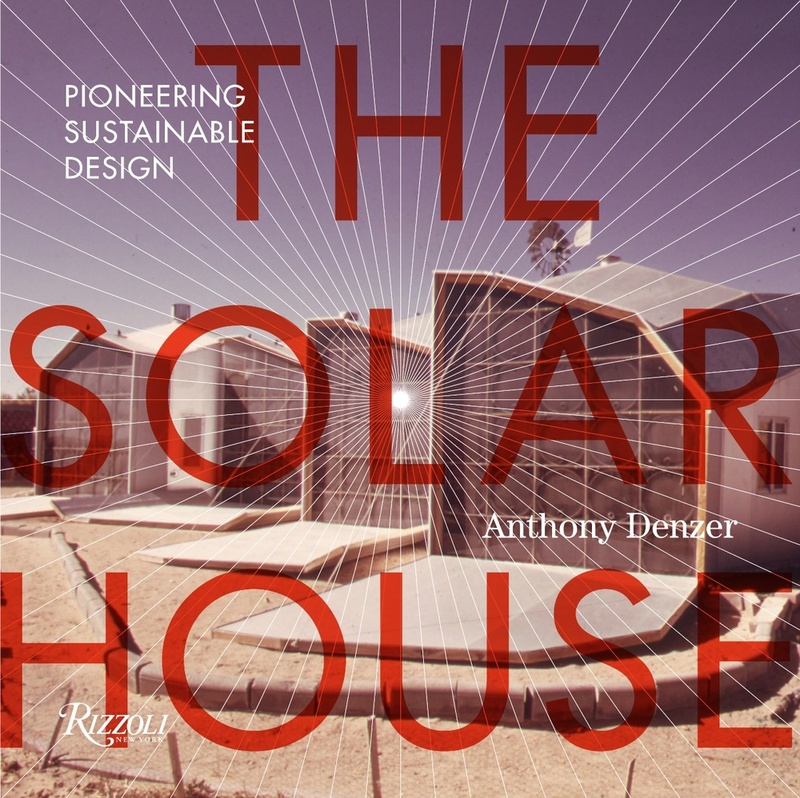 solarhousehistory.com had 16,100 pageviews in 2018. That's about 45 per day. In 2008 my book Gregory Ain: The Modern Home as Social Commentary was published by Rizzoli. It documents Ain’s works and ideas. 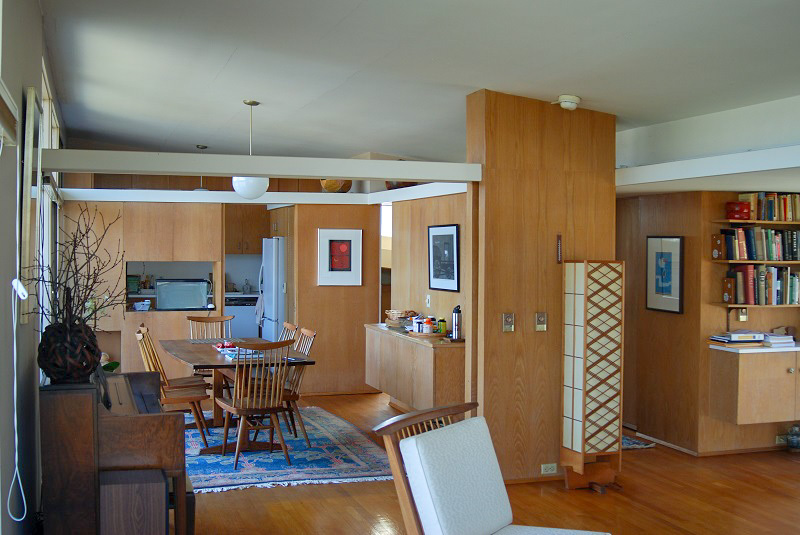 Ain’s last project—of minor importance—was a home for William and Midori Ginoza, in 1967 in State College, Pennsylvania. Ain was there for a few years serving as the Dean of Architecture at Penn State. Apart from the 1950 Museum of Modern Art house, it’s the only project in Ain’s oeuvre outside of California. The Ginoza house was never photographed, and it was the only Ain project I did not visit before writing the book. When I was able to visit in 2013, the original client Bill Ginoza still lived in the house, at age 99. He passed away earlier this year (link). Since this house has essentially never been seen before, I thought I would share some photos. It is wonderfully site-responsive, oriented to views of Mount Nittany. Prospect and refuge.